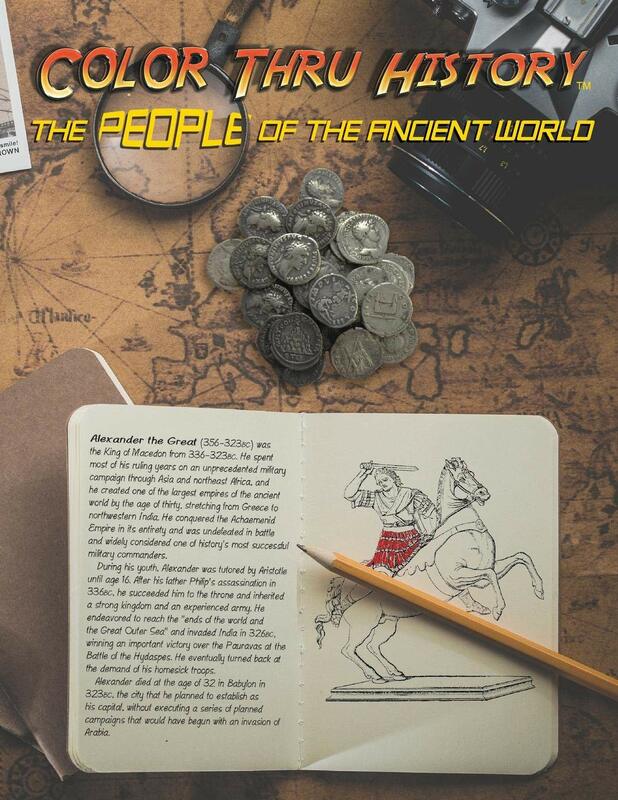 Learn about the Top 30 Historical People in the Ancient World while Coloring! 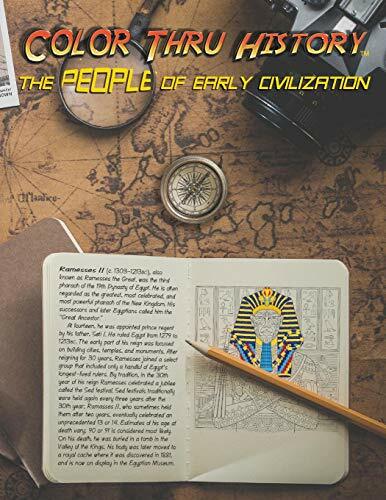 With an overview of each person’s life, related images including maps, and a timeline chart so you know how they fit historically, this book can help you not only learn about each person, but also how they relate to others of their time. The coloring pages contain a corresponding image and have nothing printed on the back – so you can color without worrying about bleed-through. You can even cut out your coloring pages…and you’ll still be left with a useful book for historical reference. Coloring utilizes both hemispheres of the brain, right and left. When we are thinking about balance, color choices, applying colored pencil to paper, we are working on problem solving and fine motor skills…Imagine all the areas of retraining of the brain and skills training that can be accomplished with coloring. Each page in this beautiful book includes loads of helpful information for the beginner as well as the advanced fisherman. Full color pictures of the fish give you the true-life colors to make coloring and identification easier. The coloring page is separate from the information page with nothing printed on the back – so you can color without worrying about leaking through to another image. 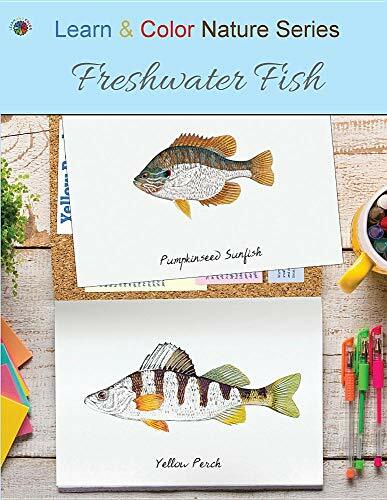 You can even cut out your coloring pages…and you’ll still be left with a useful book for fish identification. The quality paper means you are free to use media of your choice – crayons, gel pens, colored pencils, pastels, etc. 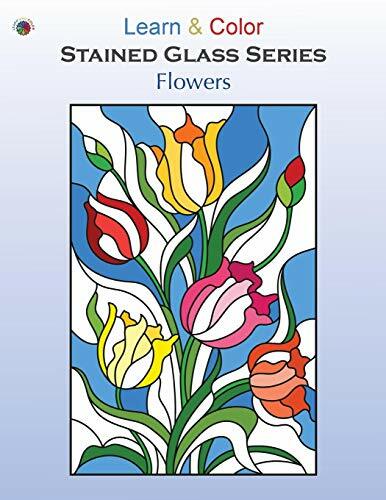 You can quickly unwind while coloring these stained glass flowers! Enjoy a healthy break from your busy day and focus your mind. These thirty beautiful images await your artistic interpretation. Color them as day scenes or night scenes. The choice is yours! Each page is only printed on one side so you don’t have to worry about your colors bleeding through to another image! 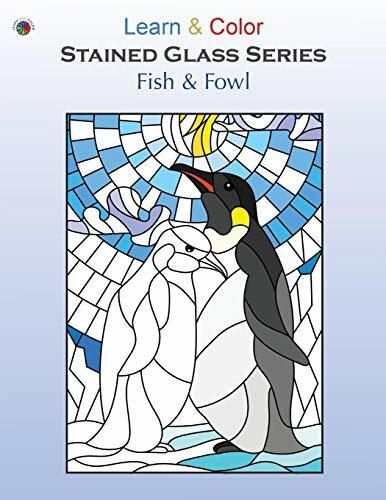 You can quickly unwind while coloring these stained glass fish and fowl! Each page in this beautiful book includes loads of helpful information for the beginner as well as the advanced gardener. Full color pictures of the plants give you the true-life colors to make coloring and identification easier. The coloring page is separate from the information page with nothing printed on the back – so you can color without worrying about leaking through to another image. 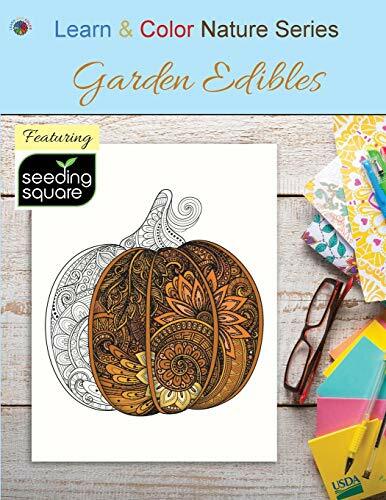 You can even cut out your coloring pages…and you’ll still be left with a useful book for planting your garden. The quality paper means you are free to use media of your choice – crayons, gel pens, colored pencils, oil pastels, etc. 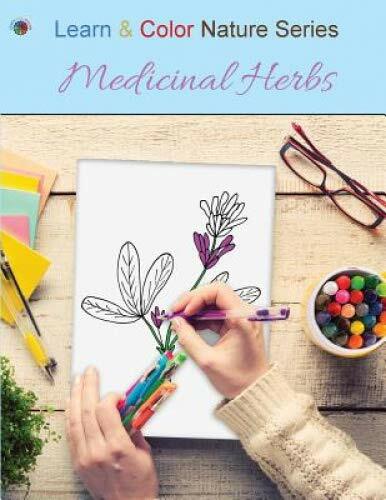 Each page in this beautiful book includes loads of helpful information for the beginner as well as the advanced herbalist. Full color pictures of the herbs give you the true-life colors to make coloring and identification easier. The coloring page is separate from the information page with nothing printed on the back – so you can color without worrying about leaking through to another image. You can even cut out your coloring pages…and you’ll still be left with a useful book for herb identification. 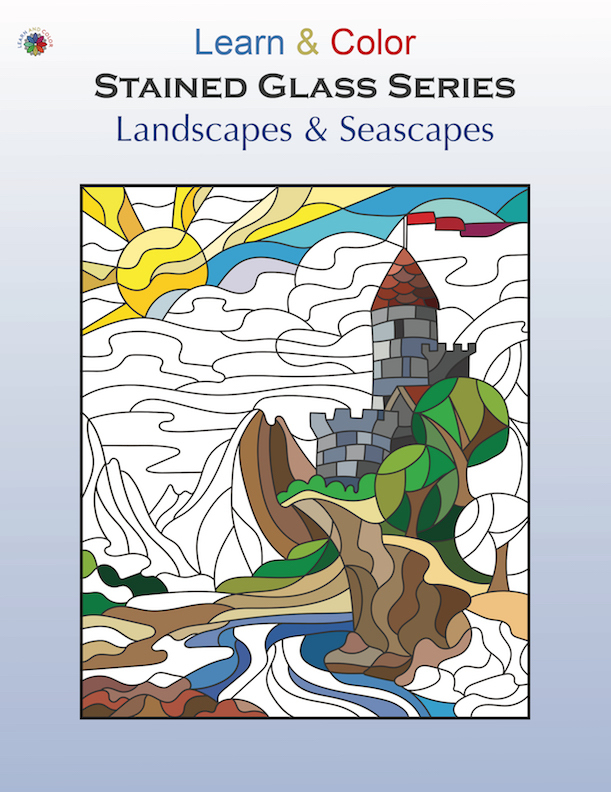 You will quickly unwind while coloring these stained glass landscapes and seascapes! so you don’t have to worry about bleed-through! Important Note: This book is exclusively for Amazon. If you found any seller sell lower price than Amazon Prime, it is a pirated copy. Coloring is calming! If you enjoy coloring, you will love this book! With more than 28 designs of different flowers arrangements hand-draw from actual arrangements, the images range in complexity from beginner to expert-level. 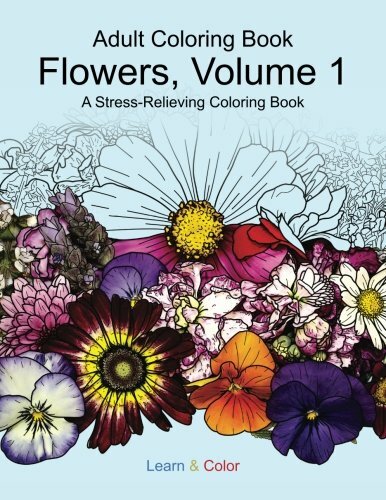 Join millions of adults all around the world who are rediscovering the simple relaxation and joy of coloring! Images are on one side of the page with the reverse blank. This allows you to cut out and frame your beautiful work!